In Chinese mythology, Pan Gu was the first living creature and the creator of the world. 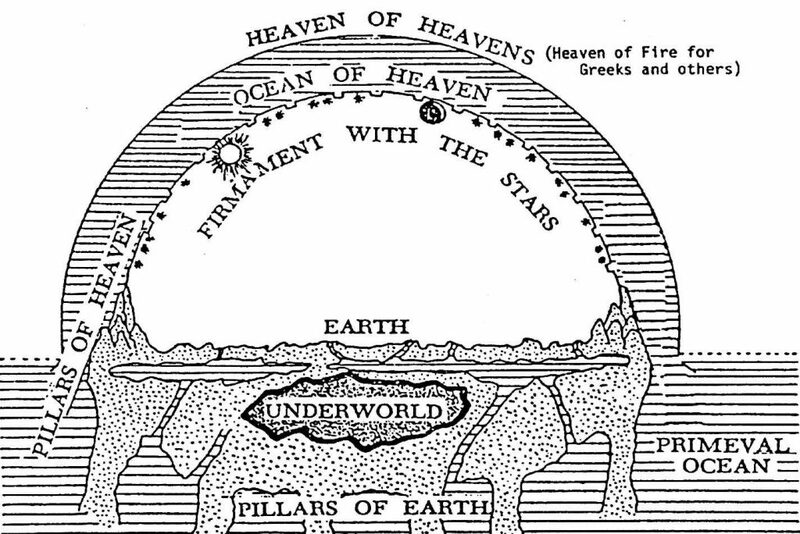 Among his acts of creation were the separation of the earth and sky, the placement of the stars and planets in the heavens, and the shaping of the earth’s surface. At the beginning of time, the universe consisted only of dark chaos, in the form of a cosmic egg. Within the egg lay a sleeping giant named Pan Gu. One day Pan Gu awoke and stretched, causing the egg to split open. After Pan Gu emerged, the light, pure parts of the egg became the sky, while the heavy parts formed the earth. This separation of the earth and sky marked the beginning of yin and yang, the two opposing forces of the universe. Already gigantic in size, Pan Gu grew 10 feet taller each day. This went on for 18,000 years, and as Pan Gu became taller, he pushed the earth and sky farther apart and shaped them with his tools until they reached their present position and appearance. Exhausted by his work, Pan Gu finally fell asleep and died. When Pan Gu died, parts of his body were transformed into different features of the world. According to some stories, his head, arms, feet, and stomach became great mountains that help to anchor the world and mark its boundaries. Other stories say that Pan Gu’s breath was transformed into wind and clouds; his voice became thunder; and his eyes became the sun and moon. Pan Gu’s blood formed rivers and seas; his veins turned into roads and paths; his sweat became rain and dew; his bones and teeth turned into rock and metal; his flesh changed into soil; the hair on his head became the stars; and the hair on his body turned into vegetation. Some myths say that humans developed from fleas and parasites that fell from Pan Gu’s body and beard. Other stories, however, tell how Pan Gu created humans by shaping them from clay and leaving them in the sun to dry. When a sudden rain began to fall, Pan Gu hastily wrapped up the clay figures, damaging some in the process, which explains why some humans are crippled or disabled.